As the holidays approach in the U.S., some of us feel the heaviness of this moment in time, making it difficult to imagine the future with any sort of certainty. 2016 has been a particularly difficult year not only the United States, but around the globe. I am fortunate to have regular reminders of the incredible grassroots victories on issues from climate change to indigenous rights over cultural production to food sovereignty. Through their daily practice, Thousand Currents partners demonstrate how their hearts stand in the sun, despite the pain. They constantly remind me of the beauty that the youth, womxn, and providers of this world cultivate in our communities. Thousand Currents is committed to keep the spotlight on our partners’ stories of transformation, knowing that this light will always outshine darkness. This holiday season, I will return home to my bruised but strong family. I will keep alive the beautiful tradition of making tamales with my mother and sister. I will reconnect with friends and laugh about shared memories. 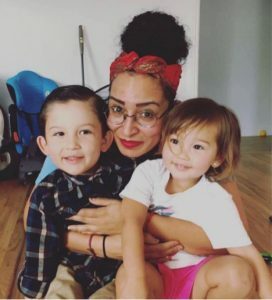 I will play with my nieces and nephew and bask in the joy of love because I know that even when I may not be able to imagine liberation quite yet, they can. Like our partners, I will choose courage. I refuse to let the uncertainty of tomorrow undermined the beauty that I’ve witnessed in my life. I refuse to let ego get the better of me and prevent me from searching for the alternatives that exist beyond my imagination. I refuse to look at this speckle of time and let it unravel the beautiful narrative woven together by all the love and joy in this world. As we depart from the winter solstice, we know that mother earth has already tilted from the longest night. I will not be distracted by the darkness. more and more light is coming. I’m excited for what the future brings.